We’ve sifted through the latest and greatest to come up with our top recommendations. Why so many Cherry recommendations? 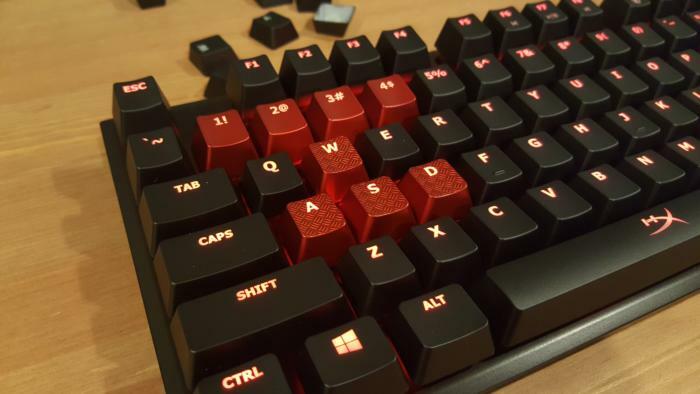 Updated 4/5/19 to include our review of the HyperX Alloy FPS RGB a quietly competent keyboard that holds its own against the competition. Scroll to the end of this article to see all of our reviews. 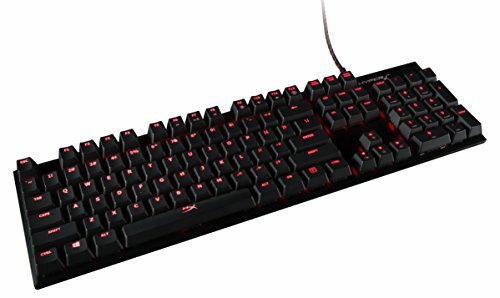 Not too long ago, the CM Storm QuickFire TK was the go-to recommendation for a sub-$100 mechanical keyboard. For good reason, too: Classic black-rectangle design, no number pad for those who hate them, and fully backlit (with the color varying based on the switch you choose). Plus, it uses genuine Cherry MX switches. The budget-friendly mechanical keyboard market has expanded quite a bit in recent years, though. These days, I’d go with Razer’s new BlackWidow X Tournament Edition—so long as backlighting isn’t a must-have. It lists for only $70, has the same trendy exposed-metal-backplate design of the larger BlackWidow X, and sports a discreet typeface on its keys. 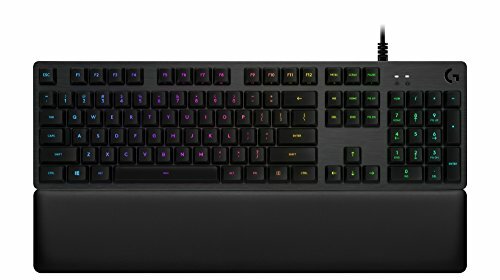 Oh, and unlike Razer’s other keyboards, you can get this one with Cherry MX Blues. If you’re willing to go right up to $100, the HyperX Alloy FPS offers some nice perks. It comes with backlighting, features Cherry MX keys, and is the slimmest keyboard on the market. I also like that the Mini USB cable is detachable—you won’t have to RMA the board if only the cable busts. The HyperX Alloy FPS offers thoughtful touches. Cooler Master's CK552 has to make a few compromises to hit its entry-level price tag, but aside from the missing wrist rest it's a fantastic budget keyboard. Mechanical keyboard prices keep falling and falling. 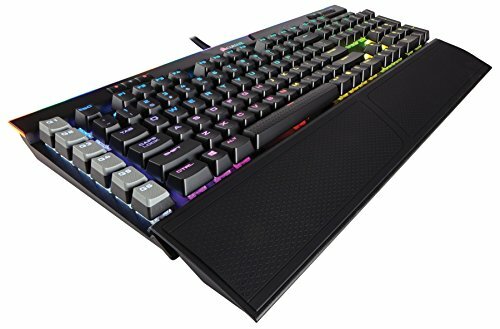 Mere months ago we chose the Cougar Attack X3 RGB for our budget pick, amazed at its sub-$100 price point. Now Cooler Master’s dipped even lower, selling the full-RGB CK552 for $90—or less. And it’s an attractive keyboard, as well. That’s one compliment I never would’ve paid to the Attack X3 RGB with its pseudo-industrial look. The CK552 is your standard minimalist black rectangle, with a brushed metal backplate and a thin sans-serif typeface on the keycaps. You could certainly use this in the office without drawing too many glances. Although the sound of the CK552 could attract some unwanted attention. The CK552 is so cheap in part because it uses Gateron switches, not Cherry switches. As far as Cherry clones go, Gaterons are generally well-regarded by the community—but the Gateron Reds are loud. They clack a lot more than Cherry MX Reds. Something to be aware of. The CK552 is also as bare-bones as a keyboard can get. There are no dedicated media keys, there’s no wrist rest, none of the frills you get with premium keyboards. You can see where Cooler Master cut corners. The second-generation Fnatic Streak is one of the best mechanical keyboard deals on the market, with full RGB lighting and real Cherry MX keys for under $150—and a gorgeous design, too. Fnatic’s second-generation Streak is probably the best bang-for-your-buck RGB keyboard on the market right now. Listing at $130, it’s barely more expensive than our budget pick, and absolutely packed with benefits to justify the price bump. It’s classy looking, for one. Much classier than the G.Skill Ripjaws KM780 that used to rule this subsection. With rounded corners, a slim chassis, and minimal branding, the Streak barely looks like a gaming keyboard at all. There are some clever features too. This is one of the few gaming keyboards I’ve seen equipped with a Function Lock button, a standard on laptops but a rarity otherwise. Press it, and your F1 to F12 keys will default to their secondary functions. 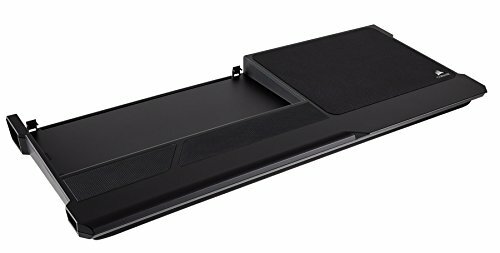 The wrist rest is also smart. Only about two inches wide, you’re able to move it to any of three different positions. It’s both compact and comfortable. The LUX refresh of the Corsair K70 fixes the original’s limitation of 512 colors, plus you get the new-old Corsair “Sails” logo instead of the ghastly tribal monstrosity that shipped on the old K70. For years and years I hated Logitech’s proprietary Romer-G switch. I often compared its original, tactile form to a rubber dome keyboard—unsatisfying to type on for any length of time. But Logitech finally got around to releasing a new switch this year, the Romer-G Linear. As you might expect, it’s a linear (non-tactile) switch in the vein of the Cherry MX Red. I’d still prefer a clicky keyboard, but you know what? The Romer-G Linear is perfectly usable, and probably one of the better Cherry knock-offs I’ve tried. Corsair's K70 Low Profile recreates a scissor switch's ergonomics with a new, slimmer Cherry MX mechanical switch. The new switch will be great for laptops, but it's pretty damn nice on desktops as well. Muscle memory is a powerful force. Given how many people use laptops day-to-day, it’s no surprise some of them want a similar typing experience on a desktop. Any differences are so small as to be negligible, even for the most devoted mechanical keyboard enthusiasts. And with this new Low Profile switch, Corsair’s reworked the K70’s ergonomics. 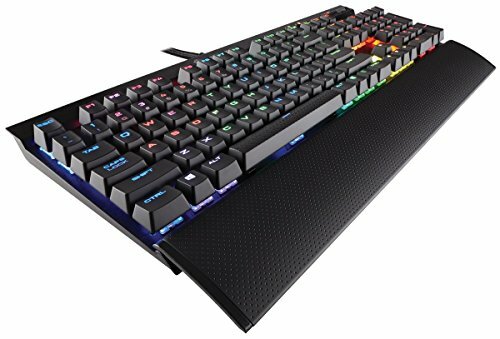 The K70 RGB MK.2 Low Profile is laid out like a laptop keyboard, not completely flat but much more so than a standard desktop keyboard with its staggered rows. Personally I prefer a desktop typing experience, but as I said: Muscle memory is powerful. If you use a laptop all day at work and want a similar feel for your gaming keyboard, this new Low Profile switch is your best friend. And while Corsair’s first out the gate here, it’s not winning this recommendation purely on timeliness. Aside from the Low Profile switch, this is your standard K70, meaning a set of dedicated media keys and a volume roller in the top-right corner, USB pass-through on the rear, a durable brushed-metal chassis that can really take a beating, a wrist rest, and more. 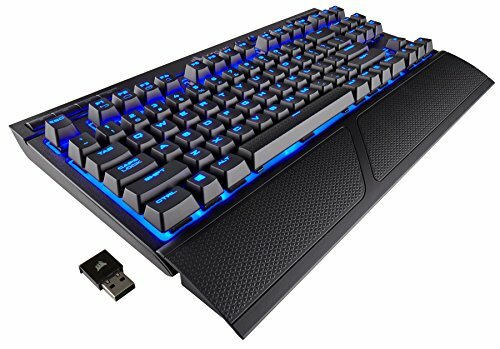 There’s a reason the K95 is on this list as well (as our ultra-premium pick)—Corsair makes quality keyboards. 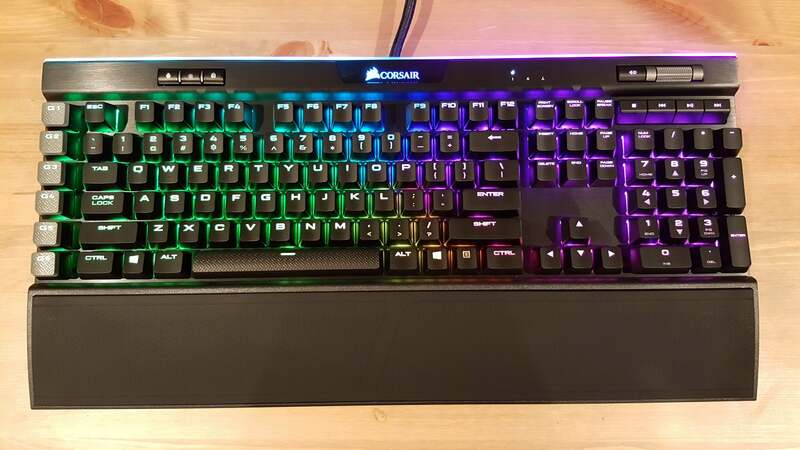 Corsair's K63 is only the second wireless mechanical keyboard from a mainstream manufacturer, and the first with backlighting. The battery's a bit short, but everything else about it is fantastic. 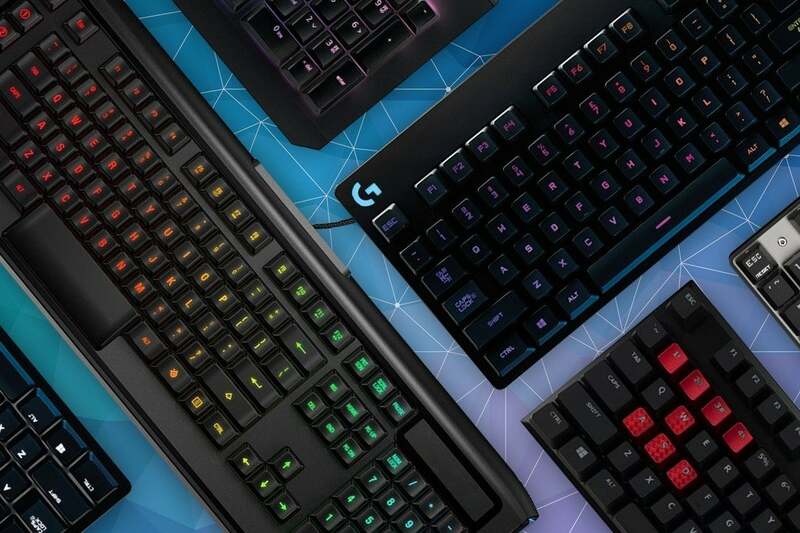 “Wireless mechanical keyboard.” Until recently the category didn’t exist, and now there are two options: Logitech’s G613 and Corsair’s K63 Wireless. Of the two, Corsair’s version (available on Amazon for $110) is the one were happy to recommend. Not only does it use our preferred Cherry MX switches (as opposed to Logitech’s proprietary Romer-Gs), it also packs full per-key backlighting—the only wireless mechanical keyboard to do so. Sure, the K63 is a battery hog. At full brightness you’ll eke out a mere 8-10 hours of battery life. Half-brightness, however, can bump that up to about 20 hours per charge, and Corsair claims turning off the backlight extends life to 75 hours. Having the backlight is great though, especially if you plan to use the K63 Wireless in a dark living room environment. It feels like a full-featured gaming keyboard. 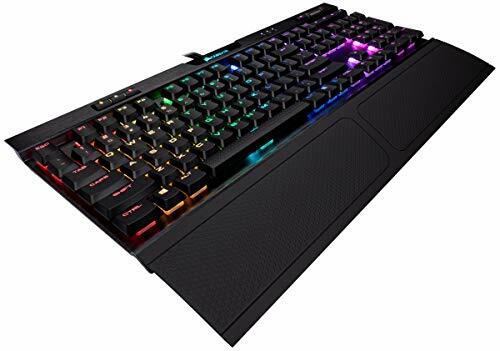 There’s also the option to pair the K63 with Corsair’s Gaming Lapboard ($60 on Amazon)—a refresh of the old Lapdog, but one that takes advantage of the K63’s wireless capabilities so you can game on the couch without stringing USB cables across your entire living room. There is zero reason to buy Corsair’s K95 RGB Platinum keyboard. Then again, there’s no reason to buy a Lamborghini either. It’ll get you to the same destination as a Honda Civic, right? At $200, the K95 RGB Platinum is the most expensive gaming-centric keyboard on the market. It’s almost three times as expensive as an entry-level mechanical keyboard, and nearly twice as expensive as the G.Skill KM780 recommended above. Put that way, the K95 RGB Platinum seems like an absurd luxury—and it is. Most of its appeal is purely aesthetic, with some of the best RGB backlighting I’ve seen on any keyboard, plus an ostentatious and purely decorative light ribbon stretched across the upper edge. If looks matter to you, you can’t do better than the K95.